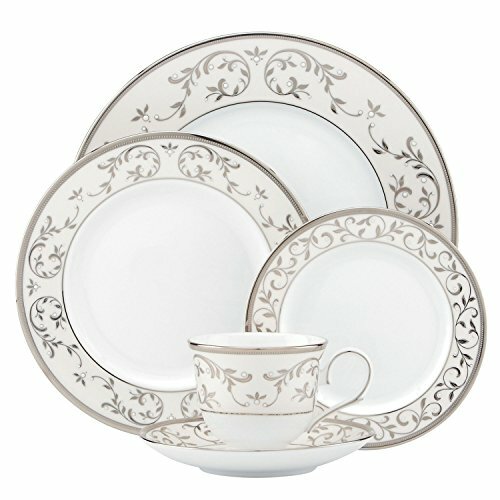 Opal Innocence Silver represents a graceful new direction for the ever popular Opal Innocence china pattern. The delicate vine motif is enhanced with glistening silver and broader, more luxurious platinum bands. Enamel dots add an elegant finish to what is sure to be an instant classic in bone china.